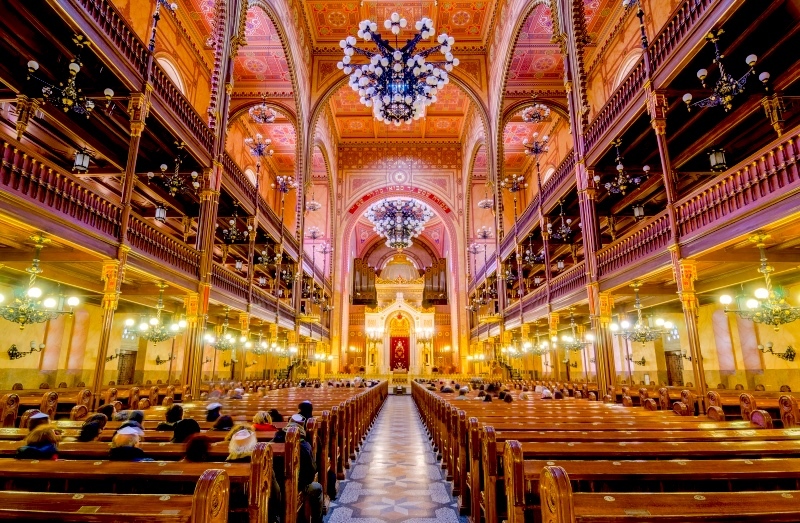 This summer I finally had the chance to visit Budapest, the magnificent Hungarian Capital! Honestly, I didn’t expect this city would be so spectacular! Don’t get me wrong, I was aware of its historical background but I got anyway very astonished by its architecture, the cleanliness of the streets, and the infinite amount of things to discover. Moreover, Budapest is such a romantic city! Walking alongside the Danube River at night is magical and literally breathtaking! Back in the day, there were 2 cities: BUDA, on the left side on the Danube River, and PEST, on the right side. They became “Budapest” in 1873. I had such a blast in Budapest, and I definitely would love to go back soon! Beautiful places to visit, welcoming people, safe and clean, elegant, great food… what a city! 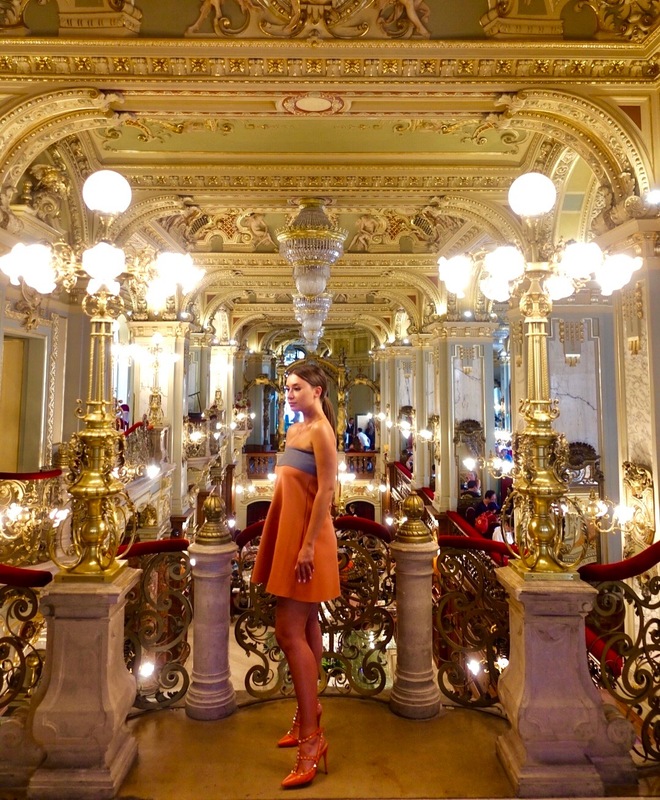 And not many people are aware of the beauty of this city – time to show you my highlights! 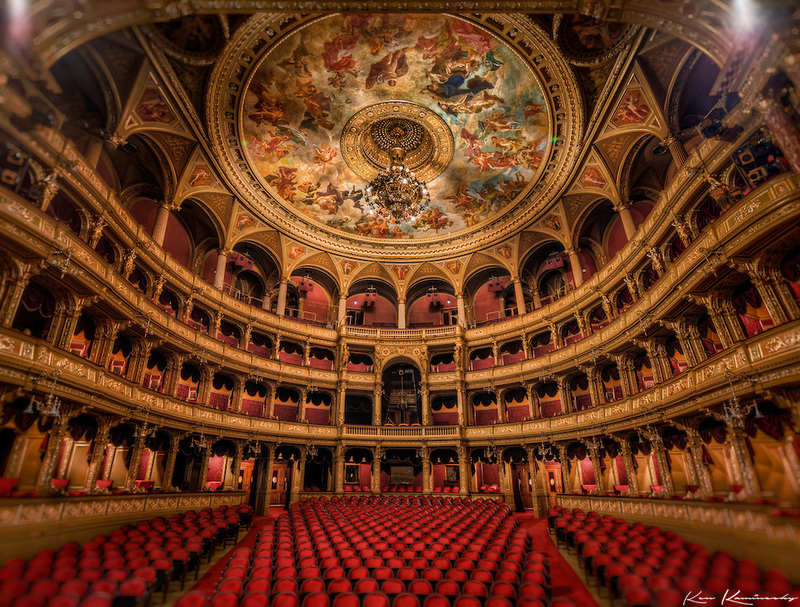 Surely the top attractions in Budapest! You can visit the Buda Castle, St. Matthias Church and the Fischerman’s Bastion all in once as they are all located on the same hill. Beautiful architecture and a breathtaking view of Pest from above! Considered one of the most beautiful cafes in the world, The New York Cafe in Budapest is surely a must while you are in town! You might have to queue to get a table, but be patient because it is worth the waiting! Great cakes and coffee are served while a small orchestra plays classical music: sublime! If you are looking for an unforgettable, private and luxurious boat ride on the Danube River, you should book a tour with Dunarama! You will get a small private boat for you and your friends, drinking wine and champagne, while enjoying the breathtaking views of the city! I loved it so much and I will definitely do it again when I will go to Budapest next time! Such a great and unique experience! Click here to book your ride: BOOK NOW ! 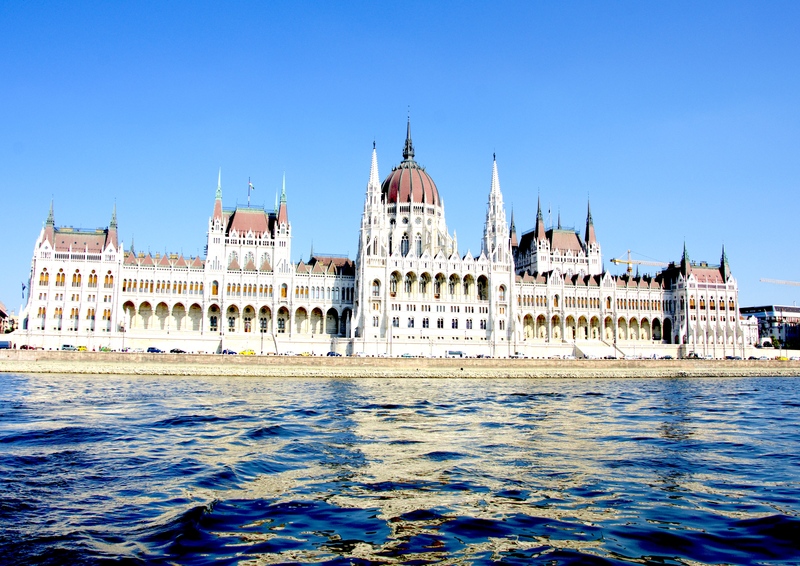 Budapest is very well known for its phenomenal thermal baths! 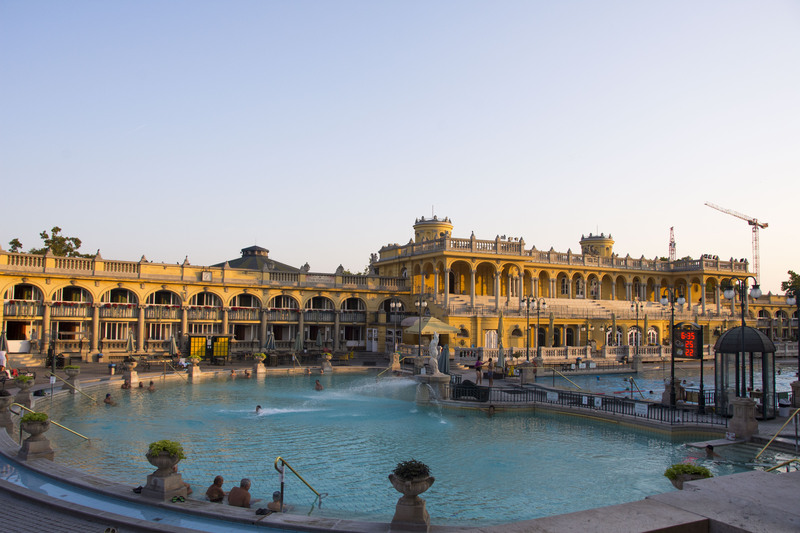 I personally went to Széchenyi Thermal Bath in Pest: it is probably the most famous one, very big and beautiful. TIP: if you wanna enjoy it without a huge amount of people and with great lighting, I would suggest to go there around 6/6:30 AM! I did it and trust me it is worth. I do not like crowd in general, and a place like this gets really full during the day. So, earlier the better! 🙂 I felt so good after a few hours in the extra warm waters! I had the big pleasure to have dinner there and I had to admit I got pretty astonished by the location, as well as the great food! This restaurant is all about hedonism. 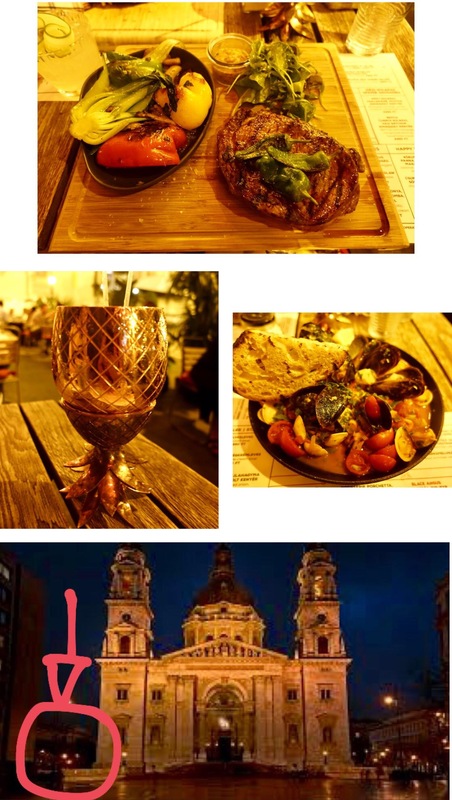 The Beast (as we sometimes call it) loves meats, steaks, home-made sausages, craft beers, having night outs with friends, rock’n’roll music and of course the beautiful city of Budapest. Such a fun and cool place in Budapest! Mr. Funk is a colorful and fun place where you can try the funkiest donuts and bagels! Not only: you can get some of the most incredible smoothies and extra colorful shakes! I had such a great time, the staff is so kind and always with a smile for you. This is a great place for breakfast or lunch, as well as for a funky stop during your tours around the city! You really cannot miss it! It is located 1 minute walk from the St. Stephen Basilica in Pest. The sociologist Ervin Szabó established the public library network in Budapest at the beginning of the 20th century. 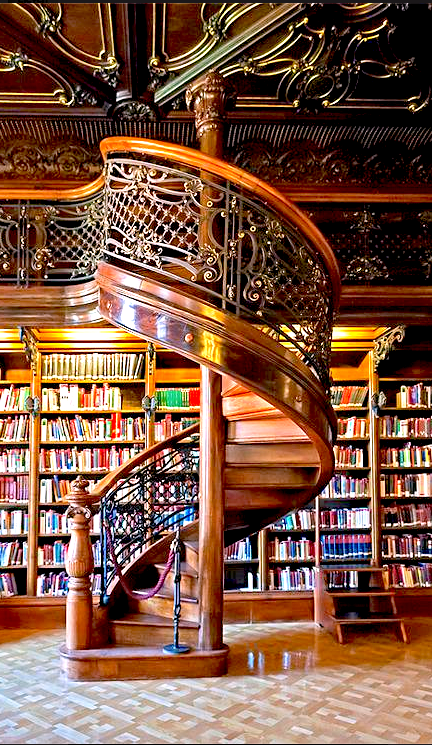 The Central Library started operating in 1931 in its present building, in the historical Wenckheim Palace. This neo-baroque palace was built between 1887 and 1889. The library is now 13,000 m² and houses Budapest’s largest public collection of books with a capacity of 1,100,000 volumes! A must visit while in town! It is located in Pest. One of the most magical moments ever: walking alongside the Danube River in Budapest at night! It is sublime seeing the Buda Castle, the Parliament, the illuminated bridges and all the other buildings illuminated at night, and their reflections on the river water. The atmosphere is unique, hard to describe! 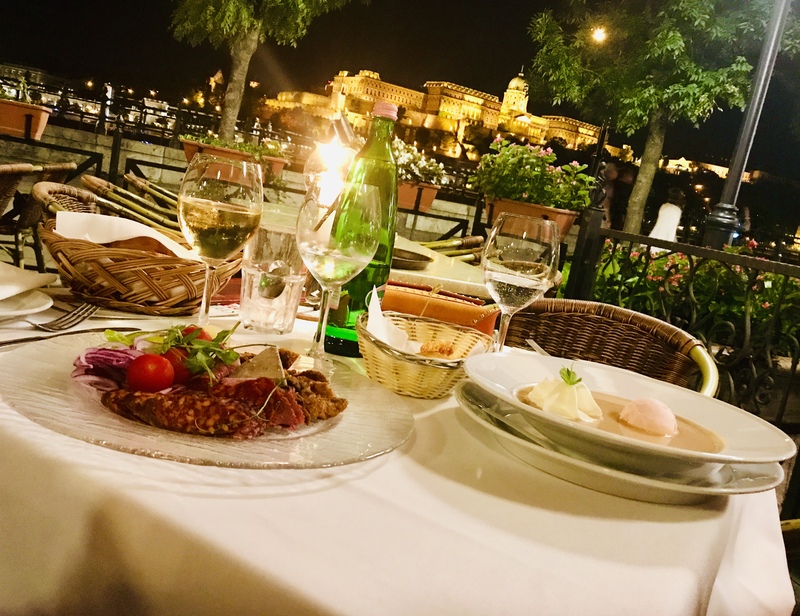 You can’t avoid to have a pleasant dinner alongside the Danube River, with the great and magical views you get at night! My personal experience was at “Dunacorso Restaurant”, suggested by a local friend of mine. 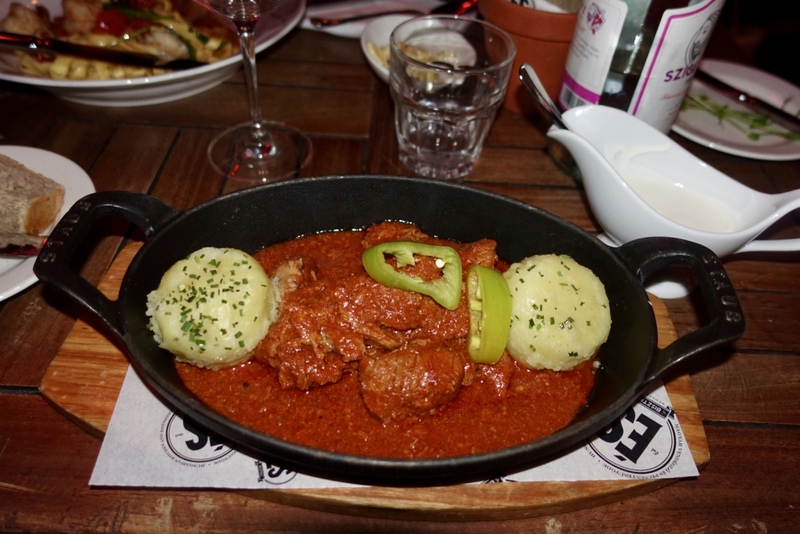 Delicious Hungarian food, with a great view and local musicians that play violins! How romantic! 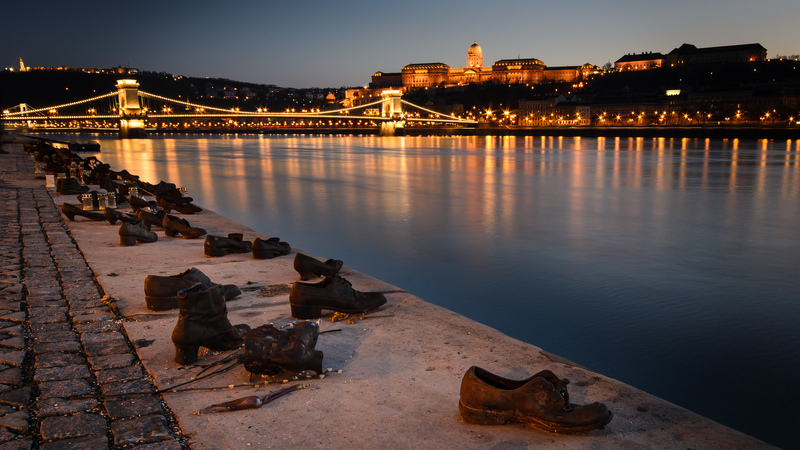 The Shoes on the Danube Bank is a memorial in Budapest, conceived by film director Can Togay. He created it on the east bank of the Danube River with sculptor Gyula Pauer to honour the people who were killed by fascist Arrow Cross militiamen in Budapest during World War II. They were ordered to take off their shoes, and were shot at the edge of the water so that their bodies fell into the river and were carried away. It represents their shoes left behind on the bank. It is a 235m hill overlooking the Danube River in Budapest, where you can get a breathtaking view of the city! There is the famous Hotel Gellért and the Gellért Thermal Baths. The Hungarian National Museum was founded in 1802 and is the national museum for the history, art and archaeology of Hungary, including areas not within Hungary’s modern borders. It is not to be confused with the collection of international art of the Hungarian National Gallery, another interesting museum to visit in the city. I hope this Budapest City Guide will be helpful for your trip!